Changing to Skiing in january 2013 I started to go down things that i wouldn’t have dreamed to on a snowboard. My confidence grew as I was riding with more experienced people. 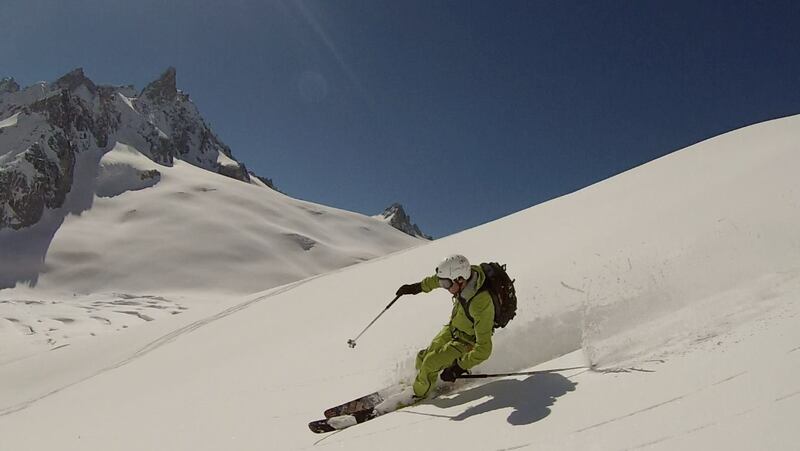 On the film is footage of me on the Gros Rognon, Grand Envers, Cosmiques Couloir and Glacier Rond. All of which are accessed via the Aiguille du Midi cable car at 3842m.